Article first published in The Times by David Aaronovitch on 3 May 2017. The playwright looks like a junior minister and the junior minister looks like a playwright. In 2003 the junior minister-looking one was on the Great Demonstration Against the War. A few weeks later the playwright-looking one was governing a province in southern Iraq. 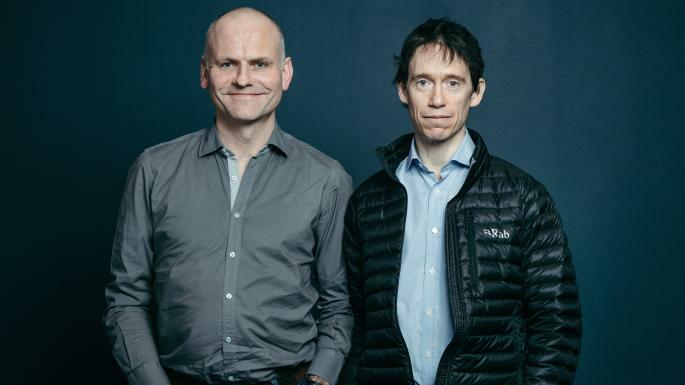 The three of us are meeting in a nondescript office upstairs at the Hampstead Theatre (which is actually in Swiss Cottage), north London — the playwright is Stephen Brown, neat and smiley, and his muse is Rory Stewart, MP, one of the most remarkable people I’ve ever met. By the age of 31 (he’s now 44) Stewart had tutored Prince William and Prince Harry, served in the Black Watch, been part of the Foreign Office team in the former Yugoslavia, walked alone across Afghanistan in the immediate wake of the fall of the Taliban and helped to run a remote province in southern Iraq. So you’ll understand that it’s an act of jealous spite on my part to write here that his real name is Roderick. Wiry and slight, Stewart is a man who never looks totally shevelled, though today he has a reasonable excuse, since he has a five-day old baby in the house. He also has a habit of answering questions while looking down at his hands, which conveys a sense of modesty. As though he is trying to disappear, or at least give the impression of someone trying to disappear. Maybe he’ll suddenly remember what he really should be doing, pick up a rucksack and walk out, en route for a hike down the Colombian drug trail or among Filipino jihadists. The play, then, is partly a schematised version of the problem Stewart faced as deputy governor in the provinces of Amara and Nasiriyah. In essence Stewart, while trying to bring basic services to an area that had been partly destroyed under the Saddam Hussein dictatorship, had to decide which Iraqis to talk to and which to exclude. In the play this becomes a three-way power struggle between the charismatic Karim, “Prince of the Marshes”, the incoming Shia Islamist, Seyyed Hassan, returning from Iranian exile, and Stewart himself. Brown’s objective, he says, was “to give each an independent life and viewpoint and I’m hoping that, as a result, the audience’s sympathies are complicated”. For Stewart this question of whether to accommodate the Islamists was a horrible dilemma. On the one hand they were dynamic and well organised and had suffered at the hands of Saddam, and on the other they were brutes. One man they murdered, recalls Stewart, was his translator, Haydar, who was dragged from his car by the militias. In the morning they’d talk and in the evening they’d kill. Has he discovered anything surprising from Brown’s play? “Yes,” he tells his hands, “he makes me see how young I was and how much it was for me, in a way that embarrasses me, a sort of adventure. How excited I was to go there, how fascinated I was by the whole process.” And what about the playgoers who might be expecting a story of a naive western booby who bumbles into a place of which he knows nothing and where he has helped to create chaos? And what about the experience of seeing yourself acted on stage? “That’s going to be really, really, really weird. The director’s not letting me into the rehearsal room — he sees this as a work of art so I’m being kept out. What I can tell you is that the actor, Henry Lloyd-Hughes, is much better looking than me.” The actor’s eclectic CV includes Indian Summers, The Inbetweeners and, amusingly, playing David Miliband in the TV documentary-drama Miliband of Brothers. “He’s a tall, sporty guy where I’m small and bandy-legged. I think I’d be more comfortable being played by Danny DeVito,” says Stewart.